SynSel’s selected synthetic fuel manufacturing processes produce Second-Generation Biofuel that has a significantly reduced greenhouse gas emission profile compared with both petroleum-based fuel and First-Generation Biofuels (e.g., soy-based biodiesel and corn-based ethanol). A Michigan Tech University study found that wood-derived fuel like that produced by SynSel emits up to a 90%+ reduction in greenhouse gases compared with petro-based equivalents. The chosen technology processes also improve upon legacy second-generation biofuel plants by utilizing dramatically cheaper and more available feedstock compared with the more expensive yellow grease. 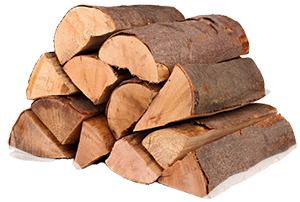 Wood feedstock is seven times cheaper than yellow grease on a per BTU basis. SynSel fuel is an environmentally responsible replacement for traditional fossil-based fuels. The fuels meet diesel ASTM D-975-11 and gasoline ASTM D-4814-10b (except for octane) specifications. It also qualifies for US incentives and tax credits (e.g., RINs, Low Carbon Fuel Standard (LCFS), renewable fuel manufacturing and blender tax credits). Refiners and distributors will likely blend SynSel fuel with 10% ethanol prior to sale to meet the octane spec and maximize incentives.